Baby Naming: The birth of a child is a miraculous event. A soul has made its grand arrival in a world full of surprises. The big question is: What should I name the child? How is the naming done? When is the best time? What does the Jewish name mean? Why is it important to have a Jewish name? Can I name a child after two relatives? Bris: The Bris - on the 8th day - seals our covenant with Hashem in a most meaningful way. Before a child learns how to walk, talk, or ask questions, he enters into a life-long relationship with his Creator. The Bris presents many questions: Who gets the honor of holding the child? How many blessings are made? Can I schedule a Bris on Shabbos? Pidyon Haben: The redemption of the first born son is performed on his 31st day. Assuming there is no Kohen or Levi in the parental genes and the birth was not Caesarian, the redemption ceremony is performed. A Kohen officiates, using a cup of wine and 5 special coins. If the ceremony was not performed in childhood, it is done in adulthood. Upsherenish: A beautiful tradition calls for waiting 3 years before cutting a boy's hair. The Torah compares a person to a tree inasmuch as both experience growth and bear fruit. Just as we wait 3 years before cutting the fruits of the tree, so too, we wait 3 years before cutting the child's hair. Accompanied by a festive celebration, this is the child's formal introduction to Mitzvos. Bat Mitzvah: At age 12, a girl reaches spiritual maturity. She is now entering the age of responsibility towards Torah and Mitzvos. How does one make a Bat Mitzvah meaningful for an impressionable young adult? Bar Mitzvah: A boy reaches the age of 13 and is ready for his Bar Mitzvah. What Torah portion does he read? How does he prepare for this special day? What is the meaning of Tefillin? Wedding: Mazel Tov! A marriage is arranged in Heaven, but planned on Earth. What are the secrets of a happy marriage according to the Torah. What is the meaning of the Chupah? How does the marriage ceremony relate to the giving of the Torah? Bereavement: When a loved one passes on to the next world, we are left with questions about the soul. Kaddish. How do I cope with the loss? 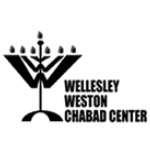 Find the answers at Wellesley Weston Chabad!